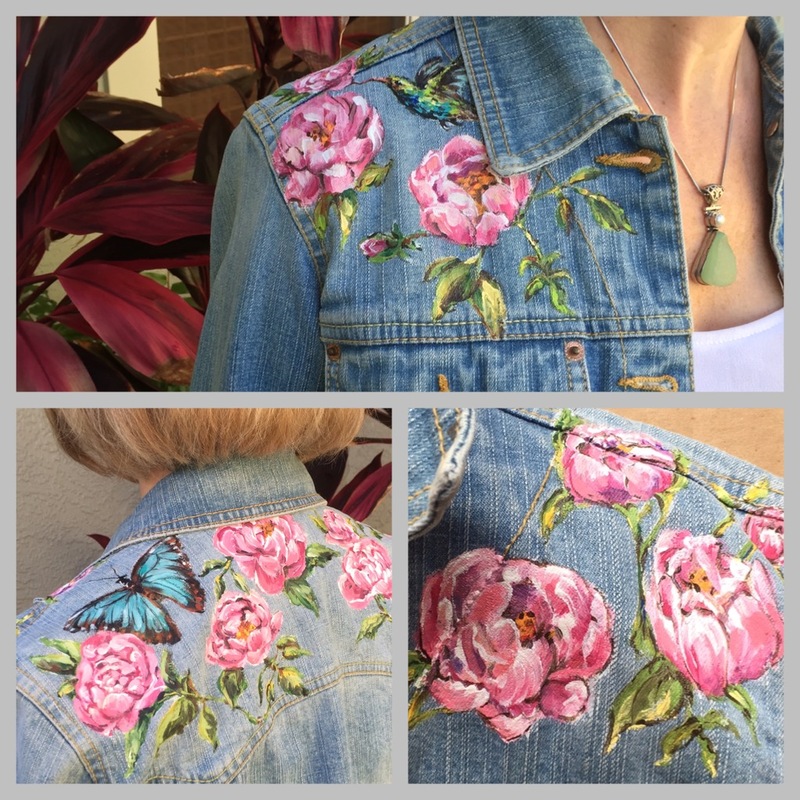 It’s a throwback to 80’s embellished denim! 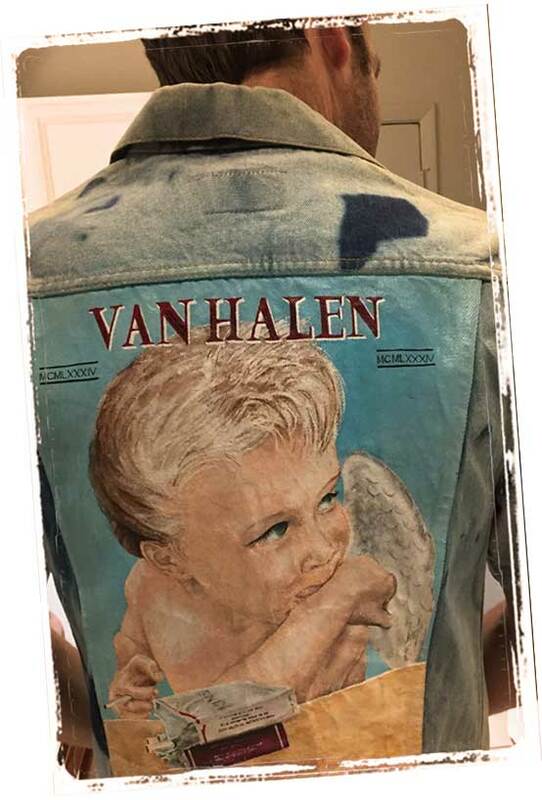 Back then in NYC it was painted album covers on the back of jackets. See one vintage example at the bottom of this page. 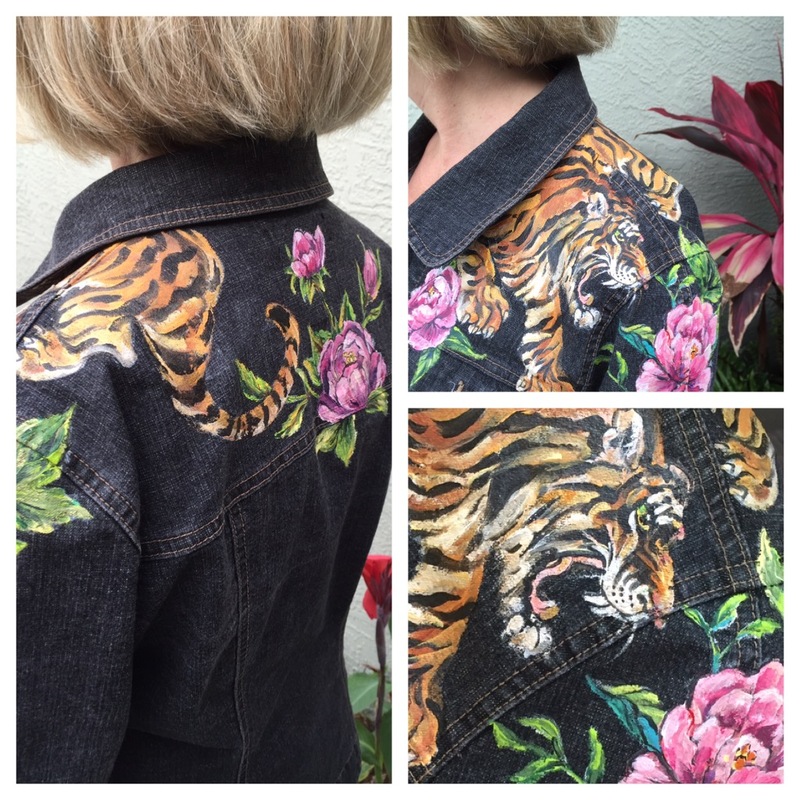 Now it’s up-cycled denim apparel embellished by hand. Combining the two sides of nature, ferocious and delicate while taking cues from tattoo and Asian art. Below: Where it all started back in the mid-80’s, one of many albums painted on denim jackets in Queens, NY. Still around today.